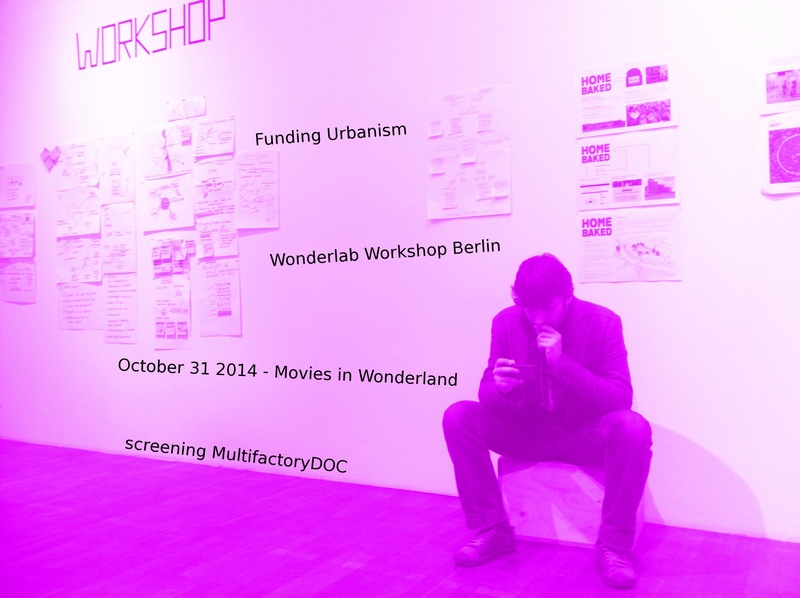 Wonderland invites protagonists of this new economic movement to send their concepts and case studies, contributing to an exhibition and discussion of alternative funding mechanisms in urbanism. Between 28.10.2014 and 1.11.2014 the wonderland platform for european architecture held in Berlin, in cooperation with the Deutsches Architektur Zentrum (DAZ) and the European Cultural Foundation (ECF), a workshop with lectures, debates and film screenings on the topic of alternative funding models to help bottom-up urban regeneration in our cities. We have been selected to screen our documentary. It has benn very interesting to receive the feed back of the architecture researchers!